We are suspension specialists and carry out suspension repairs on all makes and models, old and new. 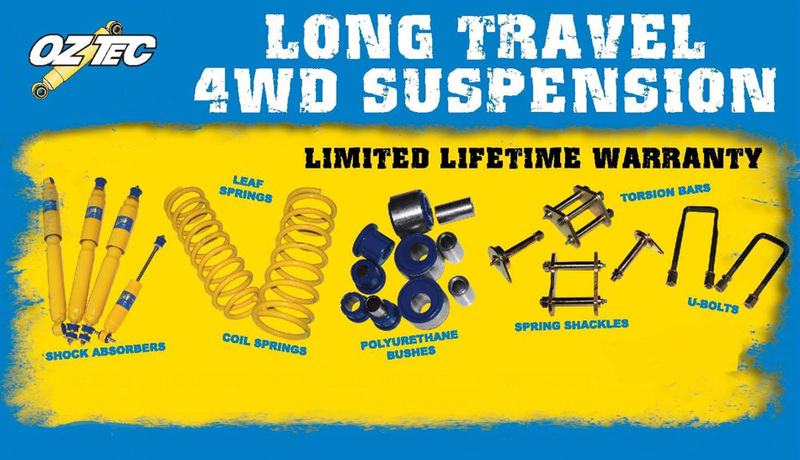 We can help with all your suspension concerns from minor squeaks through to full suspension restorations and overhauls and can carry out comprehensive wheel alignment checks and adjustments on all vehicles. We also offer a full range of mechanical services, including log-book servicing, clutch and brake repairs, and many more. Logbook servicing – Both basic vehicle servicing, and full logbook servicing to maintain your new car warranty. All our services include a thorough check of your vehicle to ensure it is safe for you and your family. We use high quality parts and oil to ensure your car is kept in the best possible condition, and provide a full summary of any items requiring attention or monitoring. Clutch adjustments and replacements – Clutch not feeling like it used to or looking to upgrade to a more heavy duty option? We offer clutch adjustments and replacements for your car or 4WD. Brake replacements, and disk and drum brake machining. Wheel Alignments – We are wheel alignment specialists and offer full wheel alignment services for all makes and models including cars, 4WD, classic cars, buses, trucks and motorhomes. We can review and adjust all alignment components to ensure your vehicle alignment is best suited for optimal driving performance and even tyre wear. We offer a full range of tyres for your car or 4WD, from all major brands to basic black and rounds, as well as tyre and rim packages. Wheel balancing and puncture repair services are also available.